Yuna from AOA participated in Marry Him if You Dare (Mirae's Choice) OST, this OST was released yesterday noon. 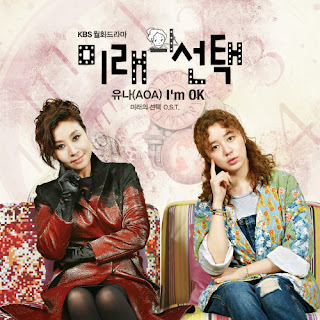 I'm OK is the theme song of Mirae, this cheerful song can become Mirae's song-of-encouragement and strength that everytime she's facing a difficult situation, she will never stop and she will never give up to "protect" her past-self and help her to choose the best path for her life so her future-self won't end up like her. Starring Yoon Eun Hye, Lee Dong Gun, Jung Yung Hwa and Han Chae Ah, this drama airs every Mondays & Tuesdays 10PM KST on KBS2.